PITTSBURGH—African American adolescents tend to have more success in school if their parents instill in them a sense of racial pride, reducing their vulnerability to the effects of racial discrimination from teachers and peers. This is the conclusion of a University of Pittsburgh study published this fall in the journal Child Development. Titled “Parental Racial Socialization as a Moderator of the Effects of Racial Discrimination on Educational Success Among African American Adolescents,” the research article shows that when African American parents use racial socialization—talking to their children or engaging in activities that promote feelings of racial knowledge, pride, and connection—it offsets racial discrimination’s potentially negative impact on students’ academic development. Preparing the adolescents for possible bias was also a protective factor, though a combination of this preparation and racial socialization was found to be ideal in moderating the possible damaging effects of racial discrimination by teachers or fellow students. The Pitt study was supported by a grant from the National Institute of Child Health and Human Development. “Our findings challenge the notion that ‘race blindness’ is a universally ideal parenting approach, especially since previous research has shown that racially conscious parenting strategies at either extreme—either ‘race blindness’ or promoting mistrust of other races—are associated with negative outcomes for African American youth,” said lead author Ming-Te Wang, Pitt assistant professor of psychology in education, who coauthored the study with Harvard’s James P. Huguley. “When African American parents instill a proud, informed, and sober perspective of race in their sons and daughters, these children are more likely to experience increased academic success,” said Wang. Although previous studies have shown that parental racial socialization is beneficial to the mental health of African American youth, few researchers have looked at how daily experiences with racial discrimination in a school context are related to the child’s educational prospects. Scholarly research has shown that African American students, males in particular, are at risk for being unfairly disciplined, being discouraged from taking advanced classes, or receiving lower grades than they deserved, all because of their race. Other studies point to negative peer treatment because of race—getting into fights, being bullied, or not being selected for teams or activities. Wang and Huguley explored how racial discrimination relates to the students’ educational outcomes, specifically grade-point averages, educational aspirations, the sense of belonging to a school, and cognitive engagement, which is the initiative a student takes in his or her own learning. And they set out to determine how the outcomes are affected by parental racial socialization. Using a combination of questionnaires and face-to-face interviews of both students and parents, the study examines the home and school racial experiences of 630 African American high school students in a diverse but mostly Black urban area on the East Coast of the United States. Unlike other studies that focus on low-income families, this project involved participants who came from a wide range of socioeconomic backgrounds. The median household income range was $46,000-$50,000, and 40 percent of the parents or guardians had a college degree. Overall, the study found racial pride to be the most powerful factor in protecting children from the sting of discriminatory behavior. It directly and positively related to three out of four academic outcomes—grade-point averages, educational aspirations, and cognitive engagement—and was directly related to resilience in the face of discrimination. Preparation for bias was directly related to only one outcome—the sense of belonging to a school. 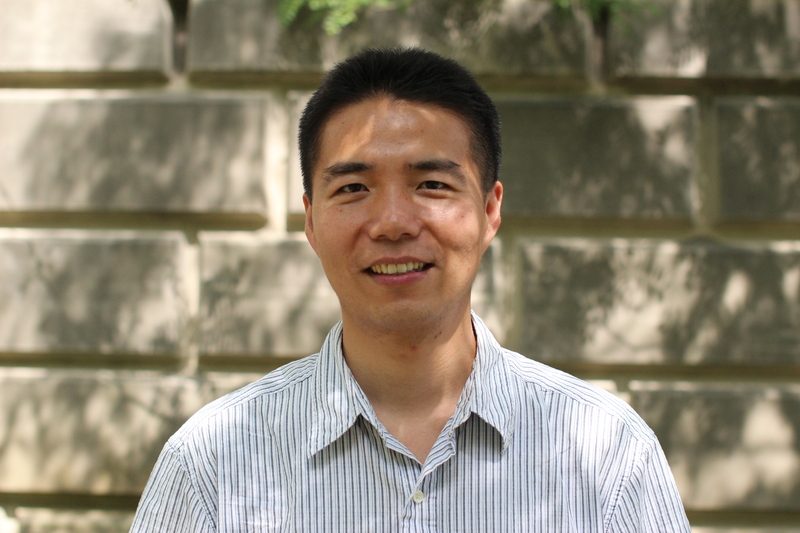 “Our study provides empirical evidence that the longstanding practice in the African American community of cultivating racial pride and preparing children to face racial bias in society should be considered among appropriate and beneficial practices in parenting Black children,” said Wang, who plans to conduct the same kind of research with Latino and Asian American teenagers.